Today, we will be discussing the first kind of feeling stuck. Help us TEND TO OUR HEARTS. Train us in our WAITING SEASON. UNTANGLE LIES in our minds and hearts. POSITION and PREPARE us for what’s next. 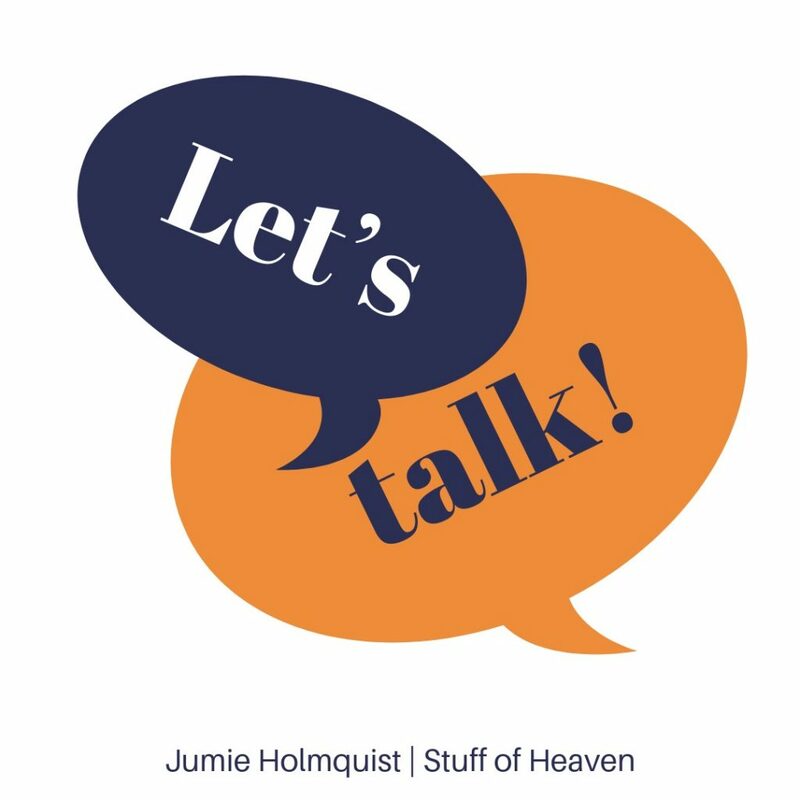 Let’s talk about REST today. Resting is sometimes difficult for me. If I were honest, I’d say that I feel better when I am active and productive. I love it when I can cross something off my list and see results from my efforts, so I struggle with rest. Rest, however, is every bit as important as activity. Could this be a season where God is wanting you to slow down and rest? Perhaps you feel like you’re on the proverbial hamster wheel. There’s a lot of activity, but you don’t seem to be going anywhere. God wants you to slow down and be in His presence. He knows it refreshes you and will prepare you for what’s next. In Genesis, God shows us the importance of rest. He created the world in six days and then rested. If He rested, it must be important enough for us to rest as well. In writing, we pause at the commas and stop at the periods. In music, the rest note is just as important as the other notes. Without it, the music would be chaotic, blurred and unstructured noise. 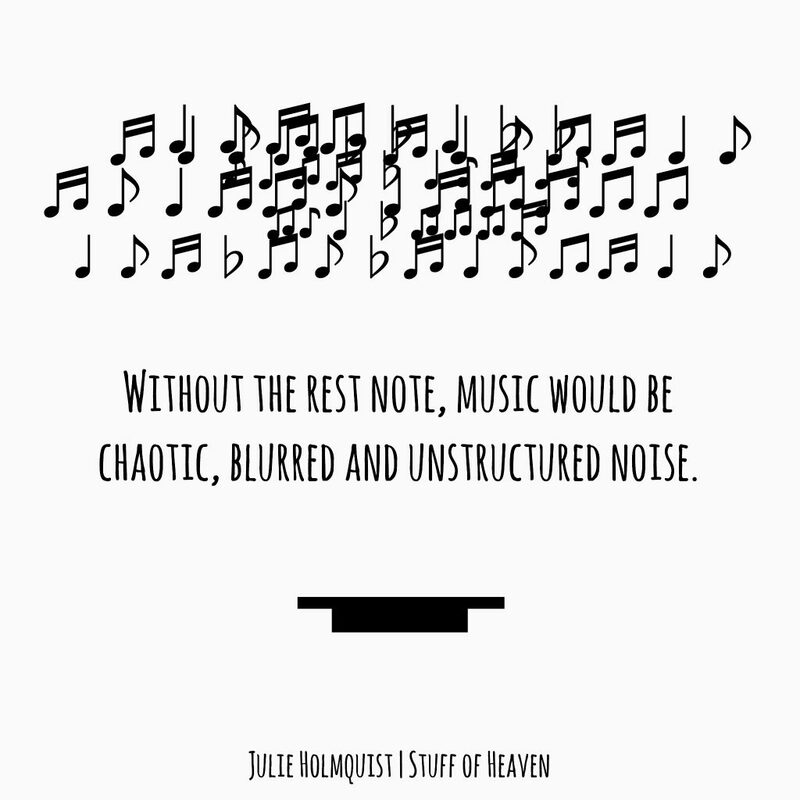 Without the rest note, music would be chaotic, blurred and unstructured noise. In farming, the farmer intentionally lets a piece of land lie unplanted for a season. He rests his land so the soil is replenished with nutrients and able to sustain future planting. Ask the Holy Spirit to help you discern if during this season of feeling stuck if it’s actually Him just wanting you to be still and to rest in His presence. Is this you? Are you needing to stop and be still? Are you needing to just rest? Let me know if this resonates with you. If you know someone who may need some encouragement because they feel stuck, share this post with them.